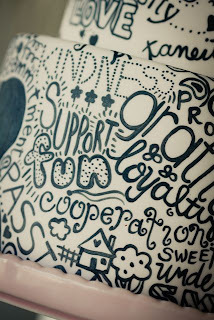 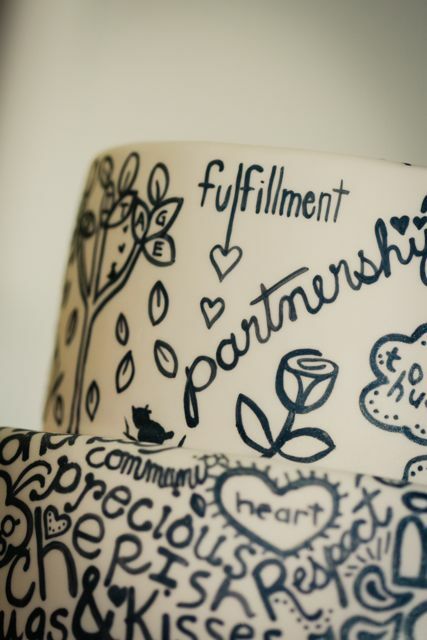 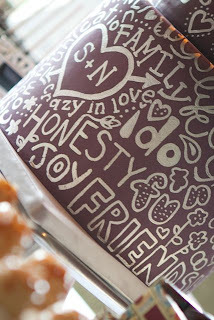 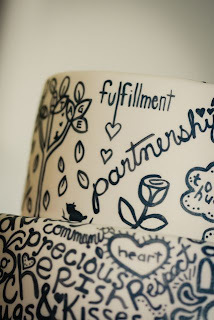 Over at My Sweet Saucy this gorgeous hand painted wedding cake was designed and created. I absolutely fell in love with this! 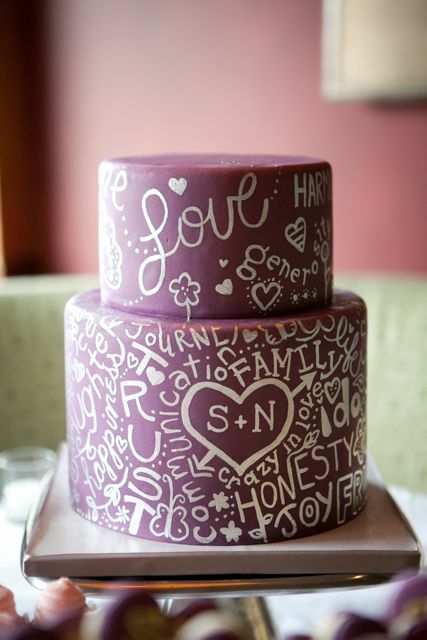 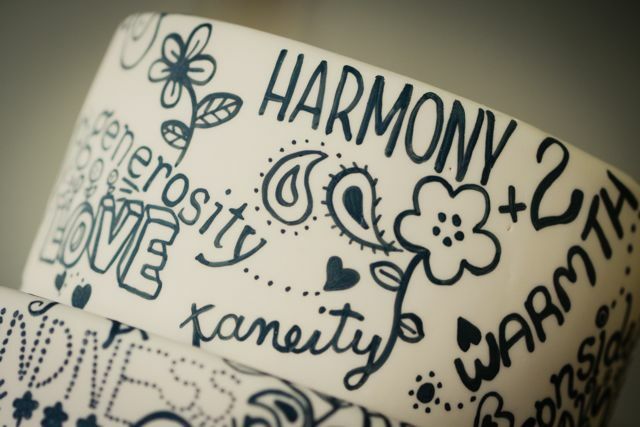 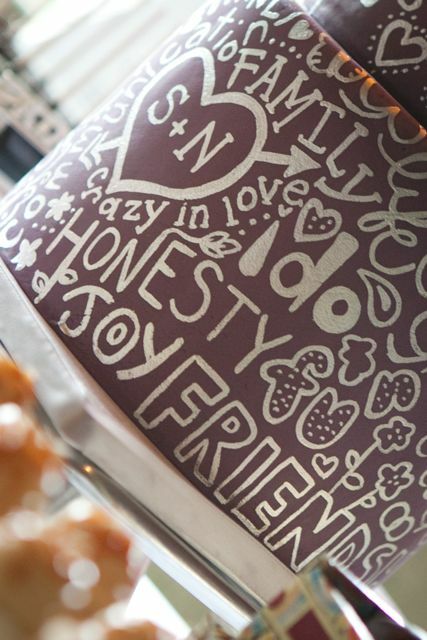 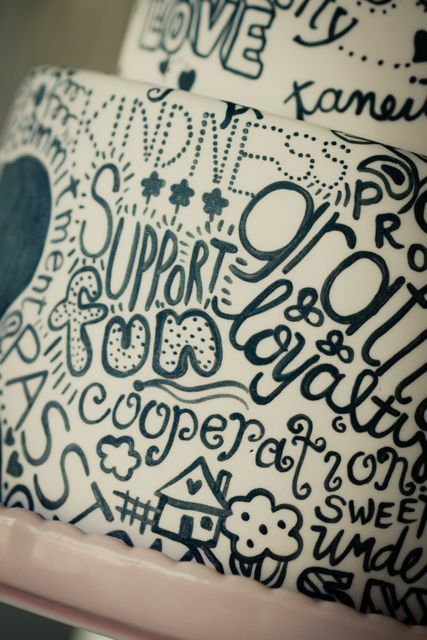 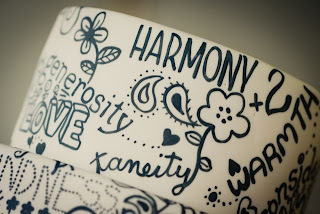 These types of cakes are also referred to as graffiti cakes. 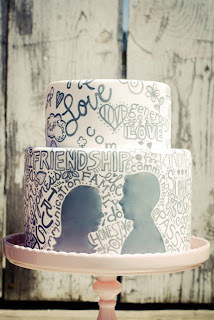 Words of love and commitment together with a silhouette of the bride and groom all hand painted with extreme delicacy. 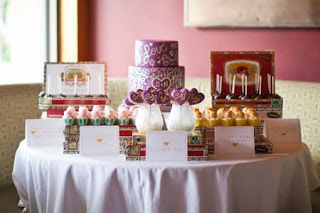 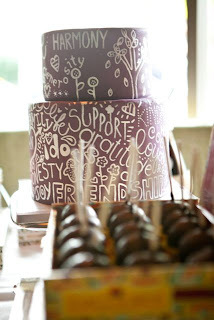 Also My Sweet and Saucy featured a variation on the above cake in purple.